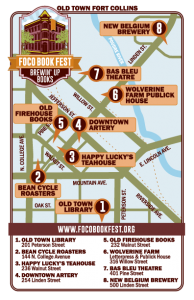 2016 FoCo Book Fest: Brewin’ Up Books! 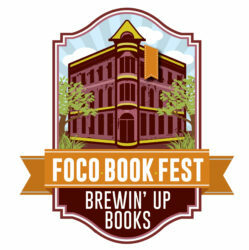 What could possibly be more representative of the Fort Collins community than holding an inaugural book festival with a theme called Brewin’ Up Books? 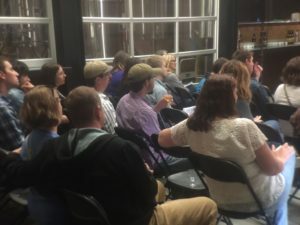 Where else can you find a free public event that combines our passions for books and writing with our love of local craft brews and turns it into a day-long literary festival? 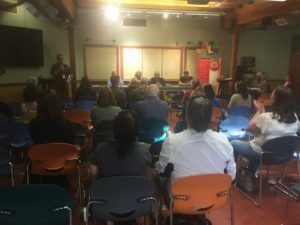 In 2016, the FoCo Book Fest was a brand new event designed to bring awareness to local libraries, books, and the literary arts throughout Fort Collins. The 2016 theme Brewin’ Up Books was chosen as a nod to the area’s expansive and passionate craft brewing scene and will feature authors, books, and presentations around beer, coffee, tea, and more. 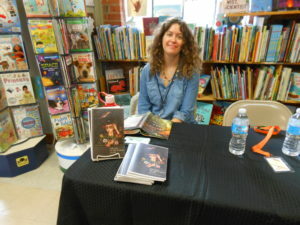 The day-long event included 50 speakers and authors in more than 40 sessions! Featured presenters at the 2016 festival included Governor John Hickenlooper (The Opposite of Woe: My Life in Beer and Politics), nationally-acclaimed poet Katrina Roberts (Underdog), New Belgium Brewing brew master Peter Bouckaert (Wood & Beer: A Brewer’s Guide), and internationally-recognized beer expert Horst Dornbusch (Prost! : The Story of German Beer). Download a copy of the event program to see all of our festival presenters, sponsors, and venues. Local partners and sponsors created three specialty brews just for the event: Read My Lips strong Belgian ale from New Belgium Brewing, Free Verse Cinnaplum black tea from Happy Lucky’s Teahouse, and Book Buzz 641.3373 coffee from Bean Cycle Roasters. The FoCo Book Fest team would like to thank all of the incredible sponsors, presenters, authors, and volunteers who helped make this event such a success. We hope everyone enjoyed the festival, and we can’t wait to see you in 2017.